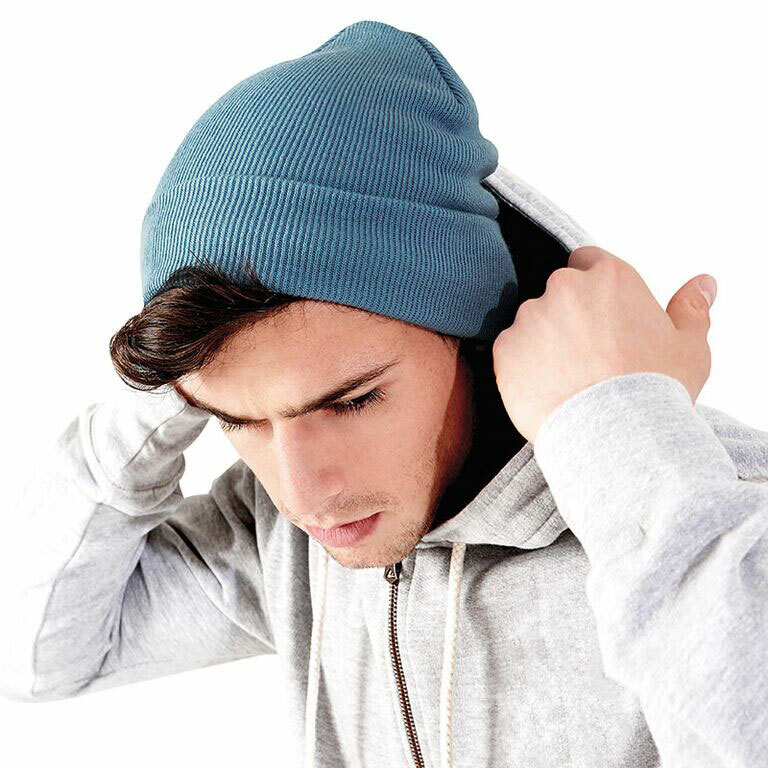 Traditional beanie with turn-up. One size fits all. 100% soft feel acrylic. Logo can be embroidered on the turn up of the hat up to a size of approximately 100 x 50mm.